This article is intended to help you understand how to delete your Facebook Messenger search history on all platforms: Android, iOS and Windows (as well as a separate section for PC and Mac users). You might not know this, but every search you make for someone on Facebook Messenger is saved in a log of your “recent searches”. While this might be reserved for your own information (and the servers of Facebook), it is still a little unnerving to know that there’s a long standing record of everyone you’ve ever searched for. This might be a damaging bit of knowledge if your partner gained access to your phone. The only way that you can get rid of this record of searches is to sign out of Messenger, and this standalone app has no sign out function. If you are not using the Facebook app, you cannot sign out at all. Some people do not have the Facebook app installed on their phone, and this is a requirement to delete the search history. You can find this in every app store for all platforms very easily. Here is how you clear your history. This process is universal for Android, iOS and Windows operating systems. Tap on the icon with 3 horizontal lines found on the bottom of the screen (iOS) or the top of the screen (Android). A menu will appear. Locate “Where You’re Logged In” around the middle of the page. Within this section, find the phone or tablet that you are using to access Messenger and then look for the actual word “Messenger” below that device’s name. If you cannot find it on the initial list, you can click on “See More” and you will be given a longer list of logins. You have to choose “See More” on Android regardless, as this is the only way to log off a particular location. ℹNote: “Facebook” under your devices name is for the general app, and does not sign you out of Messenger. Once you have located “Messenger”, tap on the 3 vertical dots icon on the right side to access a new menu. Click on “Log Out” and this will immediately log out your profile you sign in with using your device. When you log back into “Messenger” with this same device at a later time, the “recent searches” menu will be empty. This process works the same for both PCs and Macs. Go to Facebook.com using your browser and sign in. Click the “Menu” icon (triangle shaped in upper right corner). This will open a drop down menu. Choose “Settings” near the bottom of this list. Choose “Security and Login” tab on the upper left. Locate “Where You’re Logged In” section. Find the sign in for Messenger by locating the device you use on the list and finding the word “Messenger” underneath it. On the right, you will see the 3 vertical dots icon, and this will open a new menu. 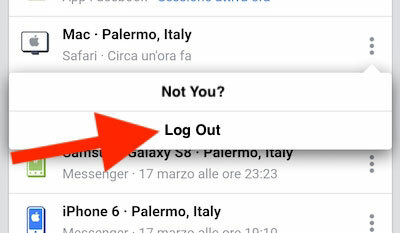 Choose “Log Out”. This will immediately sign your profile out on the device. Using your device, log back into messenger to verify the recent search history is gone. You might find it easier to uninstall and reinstall Messenger and Facebook on your phone than to follow these steps, as this will also remove your recent search history. Of course, this requires you to download the applications each and every time you complete this step, so ensure that you are connected to WiFi if you do not have an unlimited data plan. 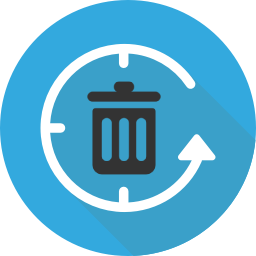 There is no denying that the process is annoying and trivial just to clean up some recent searches when they could simply provide the option to sign out. But as it stands right now, they do not appear to have any intentions of including it. So, since this is not an option, these are the only ways of getting rid of that information. Hopefully this article helped you to get rid of your recent searches. If you are still having any trouble, drop a comment below so I can help you through the process.